Benchley Contracting and Rental Corporation has over 50 years experience in the construction, utility and industrial markets. Founded in 1957 by Robert C. Benchley, the company started with just a single crane, a drag line and a bulldozer. Having grown from it's modest beginnings, Robert C. Benchley's philosophy to provide the customer and the industry with honest and reliable service remains the driving force behind the company. 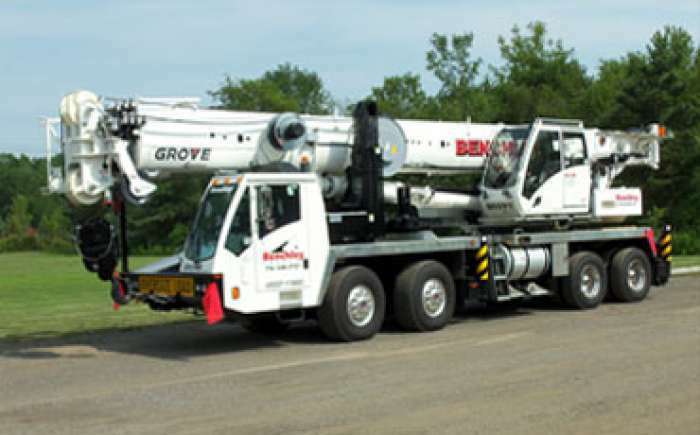 Family owned and operated for three generations, Benchley Crane Rental is committed to providing it's customers with safe and quality crane service, today and in the future.